I love fall. The changing leaves, pumpkin spice everything, soup in the crockpot….all the fall goodness! What I do not love is that when the seasons change my skin freaks out and gets dry and sensitive. This fall, I am so excited to have a new tool in my dry skin toolkit. Here is my #1 secret to combat dry skin and aging. Cleansing basics: Skin should be cleansed morning and night! As you will learn as you read along, overnight your skin recovers. Which means in the morning you have more dead skin cells to slough off. And more excess sebum to emulsify. These can’t be rinsed away with mere water. Water alone removes only about 65% of oil and debris from the surface of the skin (Livestrong Article). I use Beautycounter cleansing balm in the morning as it’s very hydrating, and the charcoal cleansing bar in the evening as it gets my skin really clean and removes all of my makeup. Do we need to moisturize? Yes, and here’s why. Well hydrated skin will remain balanced and will age at a much slower rate. Additionally, you will not need an arsenal of products to keep healthy (beautiful) skin when our skin is holding onto much needed moisture. Serums, oils and other products will also be higher performing with well hydrated skin. Dehydrated skin will not be able to use active ingredients and you may be wasting your money! Why we need a moisturizer formulated for daytime: During the day, our skin is in ‘protective mode,’ meaning free radicals and weather can damage our skin. A good day cream will protect the skin with antioxidants to ward off stressors. It will also hydrate the skin, offer barrier protection, and help skin stay balanced. Do we need a separate night cream? Yes, at night, skin goes into ‘repair’ mode, self-correcting areas of concern and regenerating damaged cells in order to address the appearance of sun damage, congestion, and dullness. A good night cream will contain ingredients to help this renewal process. Why is eye cream necessary? The skin around the eye is delicate, prone to dryness, and quicker to show age and fatigue. Squinting and eye movement can speed the appearance of lines and wrinkles and fluids collect under the eyes and cause puffiness and dark circles. Eye creams can help address some of these issues. This routine will help ensure well-hydrated and more supple, healthy-looking skin. What this means is over time this line will work on the actual lipid structure of the skin and be repairing and/or returning skin to its ideal state. This means you may need less potions, other moisturizers and products as the Countermatch will be making your actual skin more healthy. This system is formulated without silicones or synthetic polymers. Instead, it relies on plant-derived ingredients, such as squalene, to hydrate the skin. Who is this line best for? Those with normal, dry, combination/oily, or sensitive skin, and those seeking an intensive boost of hydration. I’ve been using Countermatch adaptive moisture lotion for the past few months and I love how my skin feels during the day. It feels like a second skin. It’s not oily or heavy. It feels like my skin, but way better, if that makes sense! This is a moisturizer I can wear under my makeup that doesn’t make my skin feel dry and irritated. This lotion actually adjusts hydration levels throughout the day to keep skin within the optimal hydration zone for 24 hours. and revitalizing skin while you sleep. This serum also has the two forms of hyaluronic acid for moisture. Vitamins C and E provide antioxidant protection, while again the oh so cool Bio-Mimic Technology uses plant properties to properly nourish the skin. If you haven’t tried serums on your skin, prepare yourself. They boost radiance, which is incredibly healing and will keep your skin feeling great! Hyaluronic Acid: one of the most effective hydrating ingredients out there and it doesn’t clog pores! Vitamins C & E: energize skin and provide antioxidant protection to help fight free radicals. Vitamin C is also a great brightening agent for the skin. Arginine: sourced from beetroot, provides nutrients and energy for vibrant, healthy skin. It increases blood flow to the skin and binds to moisture. If you have scars or blemishes, this ingredient can be very healing, especially alongside the Vitamin C.
Formulated for the delicate eye area, this cream awakens eyes and is ideal for those wanting to address dryness, under-eye shadows, and puffiness. It’s also safe for use with contact lenses! I would LOVE for you to try this line with me this fall! 1. Volumizing Mascara is made with natural fibers, increases volume by 385% to create fuller, more dramatic-looking lashes. It won’t clump, smudge, or flake! It’s almost sold out twice now!! 2. Instant Eye Makeup Remover, a new product that completely erases long-wear and waterproof makeup. Made without mineral oil or silicones. 1. 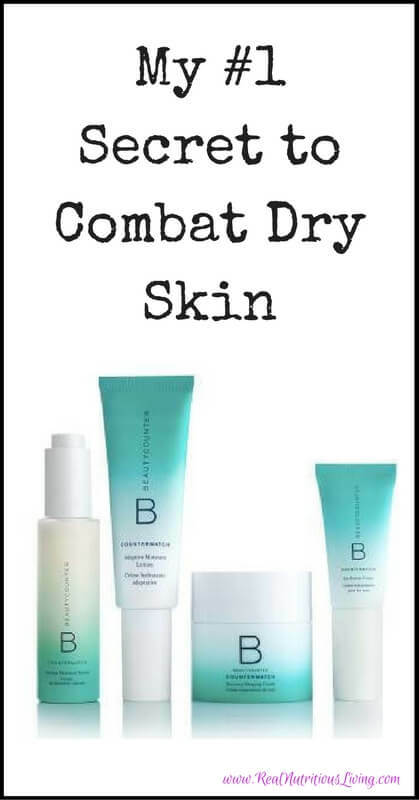 Shop my link at www.beautycounter.com/melissaschollaert and purchase $75 or more in safer products. 2. 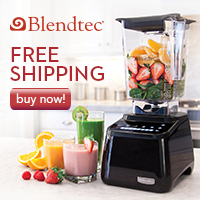 Forward your order confirmation and choice of gift to melissa@ realnutritiousliving (dot) com. Your gift will ship separately since it’s coming from me. This sounds like such a great act of self care! Thanks for sharing your secrets! You’re welcome Renee! Thanks for stopping by! Can’t get enough of Beautycounter. My skin’s been loving the safer and toxin free options! It’s so nice to have safe, yet high performing products Jean! So good to know! I had no idea that water only cleans that much! I need to place another BC order soon and will probably get some of these products next time. I’m certain you will love them Emily! Let me know what you like! Great tips and product recommendations! It just started to turn cool here in CA, so I’m sure my skin will feel it soon. I am in CA too Carrie! This is a great education on all of these ingredients!! Thank you! Beautycounter makes a great product! You’re welcome Megan! Thanks for following along. I need to get on the Beautycounter bandwagon ASAP! This sounds like a great collection! My skin is already getting dry from the heat being on. What a great breakdown for skincare! I never used to moisturize because I thought it made my skin even oilier, but moisturizing has actually been the best way to keep my skin balanced! I know it does seem counter-intuitive until you learn more, right? Thanks for the kind words Kari! Sounds brilliant as I too have dry skin. Is this product available in the UK? Soon! I’d be happy to add you to my UK list and reach out when it is Donna! I love lengthening mascara !! Hmm…will need to check out this brand soon ! I’d love to send you some samples ChihYu! Love good clean beauty products! They are so important! So many of my clients eat organic and workout, but aren’t using clean products and wonder why their weight and hormones are all over the place! I LOVE THIS SET!!! I was using the Rejuvenating line before but having some skin sensitivity issues. It’s like Countermatch was made just for me, it all feels so amazing! YES! My skin can be sensitive too. I’m excited to get really consistent with this line and see how my skin reacts! I love Beautycounter. I love their mission, and their products are amazing. Thanks for sharing. 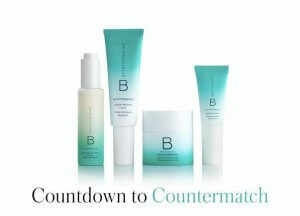 Love Beautycounter! I might have to try this new line. Becky, it’s amazing! I am certain you will LOVE it! Next Next post: The 21 Days of Beauty Challenge + Giveaway!